The ministry of environment has drafted a decree to name the rocky coast of Dalieh as a national protected area, a ministry official said today. The move may create a significant obstacle for real estate developers who plan build a major private project on the Dalieh of Raouche coast, which is one of Beirut’s last remaining public shores. “We have drafted a decree classifying the site as a natural site under the protection of the Ministry of Environment,” said Lara Samaha, the head of the department of ecosystems at the ministry. The announcement came as a bit of a surprise during a press conference that was intended to announce a design competition for public use of the hilly area, marked by limestone cliffs and natural lagoons. The move is seen as a victory for activists who have been campaigning for over a year to keep Dalieh a public shore, free and open for swimming and picnics as it has been for generations. 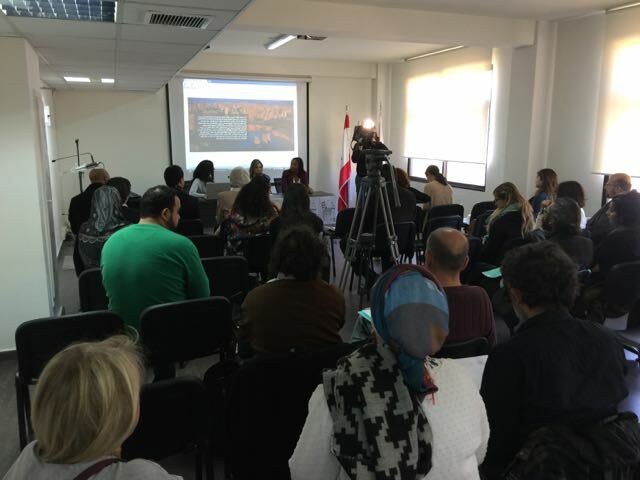 “We are giving importance to the site–otherwise we would not have held it (the contest) on our premises and under the auspices of the ministry of environment,” said Samaha. 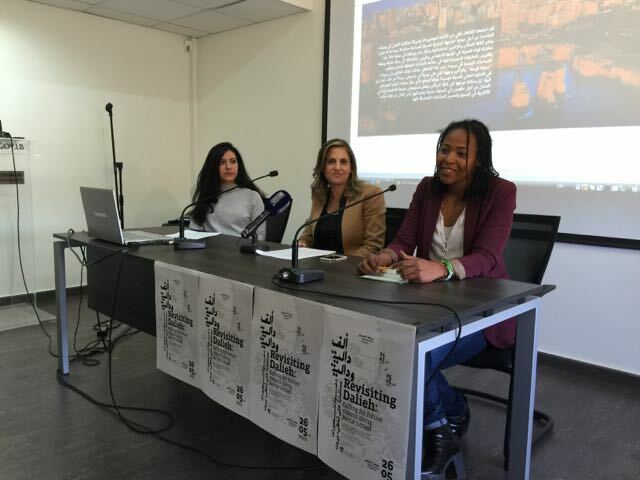 Samaha was joined on stage by activists from the Civil Campaign to Protect Dalieh, Amira El Halabi and Abir Saksouk-Sasso, who lauded the work of many volunteer professionals and activists who have tirelessly lobbied the ministry and other government bodies. 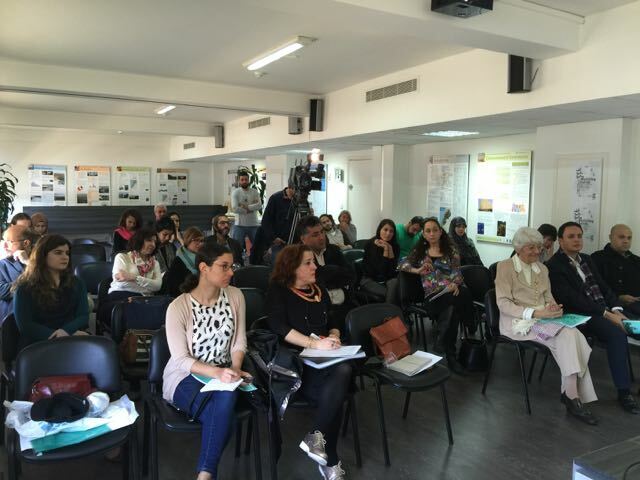 The audience erupted in cheers and clapping when Samaha made the announcement, which was covered by local television channel LBC and a number of other news reporters. 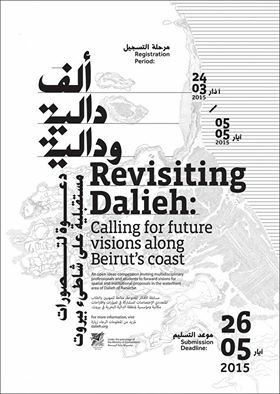 Saksouk-Sasso said the Civil Campaign would soon be launching the website at www.dalieh.org to begin receiving submissions for the contest to design Dalieh as a public space, which will be open to both professionals and students. She said the site is expected to be online by the end of the day. The website will contain maps and guidelines to be used by contestants as well as names the members of the jury, including prominent local and international architects and design professionals. “We are not only trying to resist the private project, we are also trying to provide alternatives to see what people can come up with to make this a public space for the city,” Saksouk-Sasso said. The ministry’s draft law will now be submitted to the legislative court known as the Shura Council for approval and then be sent to the council of ministers for a vote. Samaha said she thought it had a good chance of passing. “It means no industry is allowed on the site–classified establishments as industries, whether small or big, on the site– any establishment that will be constructed on the site needs to get the approval of the ministry of environment and needs to undergo an environmental impact assessment (EIA) sent to the ministry of environment for review and to get its approval or not on any establishments there, whether resort, building. So a resort can still be built there? Who needs to approve it next? How significant is today’s event for the campaign to protect the site? Are you hopeful it will pass? Correction: In a previous version of this post, the term “draft law” was used. It should be clarified that the term is “draft decree” which is still legally binding if passed. The difference in Lebanon is that decrees are issued by ministries and voted on by cabinet while laws are voted on by Parliament. Beautiful news! But what about the fishermen? Will they remain in their port? Or if the majority has been paid to make place for the Hariri family project, what will happen to the port? Good question Rayane, there was not a lot of talk about the port, it’s not clear if it falls in the area of protection though it seems it would be. I think the functioning of the port is a transport ministry issue and there are a lot of questions to ask there as to why the cornerstone and sign was put up in 2012 and now backed off. Definitely worth a follow-up. Thanks for pointing it out. I’m confused. She said establishments could still apply to build something there but would have to be approved…. This is worrying to me, because I feel that once again, as is the case with a lot of issues close to the Lebanese people’s hearts, we will be lulled to a stagnant calm by a move like this, only to be shocked by a statement down the line that tells us a new resort is opening that uses green energy, (awesome) but is not longer open to the public (not awesome). Yes the details of what can be built need to be more explicit, though the environment ministry having refusal power may be significant. You are definitely right to be worried and this should be cause for everyone to stay vigilant and watch how the draft law progresses to see if passes. The good that can come out of this is I think for the public to participate more in following this case if it gets more media attention, interest and curiosity about Dalieh and lots more questions. Why is the video private though? Thanks Fadi. Just posted the explanation and the transcript.